Whether you’re a student or an electronics hobbyist, building a robot is an activity that can enrich your mind and help you develop skills in multiple disciplines. When you make a robot, you’ll learn about basic engineering, construction and physics. You’ll also learn programming skills and discover how the components in a computer interact with one another. Building your first robot will not be easy — especially if you have ambitious goals for the robot’s functionality. However, making a robot isn’t nearly as difficult today as it once was. Pre-constructed boards with microprocessors and memory make it possible to essentially build the body of a robot and connect a brain that already knows how to control that body. If you’d like to keep things easier, you can even buy a kit containing all of the parts that you need to get started. Let’s learn how to make a robot. Microcontrollers make it easy for students and hobbyists to build robots without delving into the finer points of computer engineering and software development. A microcontroller is a circuit board that’s also a functioning computer. It includes a CPU for processing commands and memory for storing programs. Most importantly, a robot microcontroller usually includes firmware that you can use to control your robot. Arduino microcontrollers are very popular in the DIY robot community. 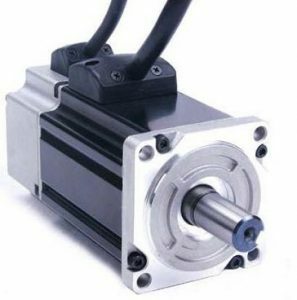 A servo motor is a linear motor that can turn in two directions and usually has the ability to sense its current position. Motors allow a robot to move. By attaching wheels to the motors, you can build a robot that rolls on the floor. You can also build more complex structures — such as robotic hands — using servo motors which come in all sizes from small motors suitable for small scale hobby projects to larger industrial servo motors suited for larger builds. 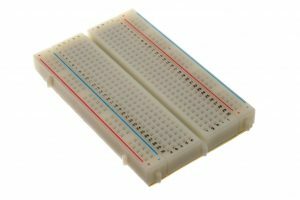 A breadboard is a reusable circuit board with holes for attaching wires and other electronic components. Using a breadboard for your robot project means that you can build a circuit without soldering the connections. Breadboards also make mistakes easy to correct. A robot can only move if you give it a power source — and if you want to make a robot that can move anywhere, you’ll need to use battery power. You can use disposable batteries, lithium-ion batteries or lithium polymer batteries to power your robot (comparison). The additional electronic components that you’ll require for your project depend on the instructions you plan to follow. You’ll need plenty of wire. You may also need some resistors and capacitors. To make a robot that performs more advanced functions, you may need components such as a camera, a Wi-Fi antenna, a distance sensor and an LED display. To perform any function, a robot needs a body. You may need a box, for example, to house the robot’s electronic components. You’ll need wheels if you want to make a robot that rolls. To build a robotic arm, you’ll need a metal or plastic skeleton. Building a robot is only half of the fun. Once you’ve successfully made a robot capable of moving, you’ll need a way to give it commands. If you use a microcontroller designed for robotics, programming the robot will be relatively easy. You can write the program on your computer and transfer it to the robot via a USB cable. 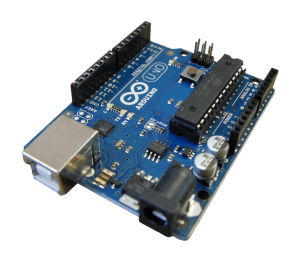 Arduino is both a hardware design standard and a development environment for robot microcontrollers. Because Arduino is an open-source standard, the boards typically cost under $15. The programming software is free. Since you can find an ample supply of free Arduino programs online, you don’t necessarily need to learn the programming language from scratch. You can download existing programs and see how they work to develop your programming knowledge gradually. 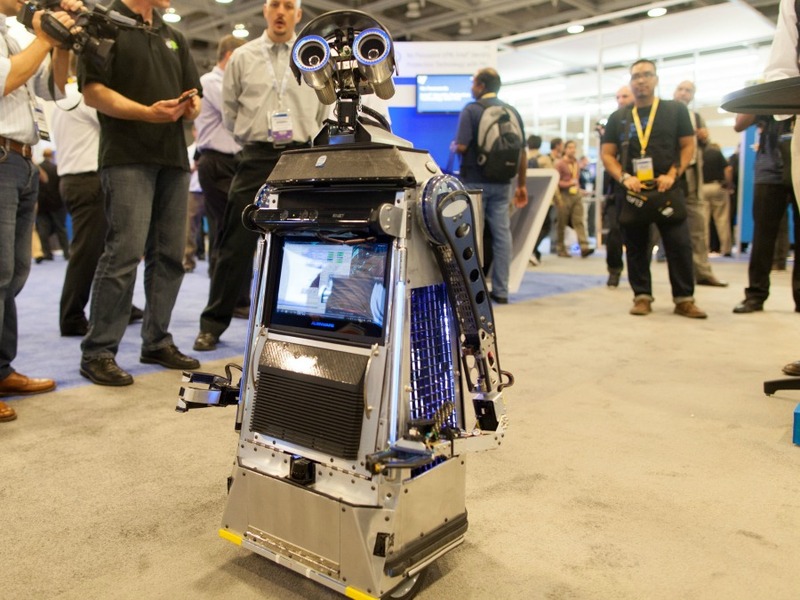 Raspberry Pi and Intel Galileo are two boards appropriate for more advanced robotics. While the Arduino Uno has a 16 MHz processor and 32 KB of memory, the Raspberry Pi 3 has a 1.2 GHz processor and 1 GB of memory. It also has other useful hardware such as a Wi-Fi chip, Bluetooth, a flash memory slot, USB ports and more. Using a more advanced microcontroller doesn’t have to make programming your robot more difficult; the Raspberry Pi and Intel Galileo can both run the Arduino software. If you’re not an electronics hobbyist yet, there may be some aspects of robotics that leave you feeling a bit nervous. Maybe you’re not comfortable laying out a circuit on a breadboard. Perhaps you’d rather buy a robot building kit with parts that snap together and require no wiring. There are platforms available that make it easy for you to get your feet wet without learning everything at once. 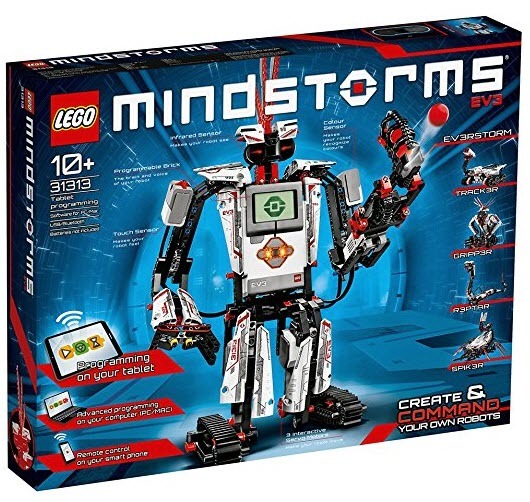 Lego Mindstorms is one of the most popular robot building kits for students. The Mindstorms kit — which costs about $350 — includes all of the parts needed to build 18 different robot projects. The core component of the Mindstorms kit is the Lego Programmable Brick. The Brick controls the robot’s motors and receives data from its sensors. In the kit, you’ll find a color sensor and a touch sensor. You’ll also find components for sending and receiving infrared signals. The Mindstorms kit also includes two large motors and one smaller motor. Lego Mindstorms has an active development community, so you can find a limitless array of Mindstorms projects and programs online. Like Lego Mindstorms, VEX IQ is a modular robotics system with snap-together parts and no tools required for building. 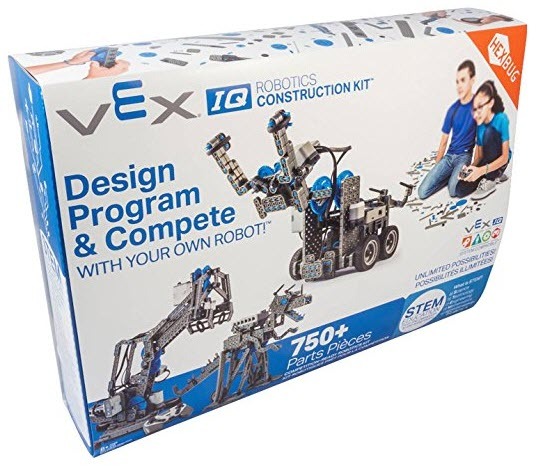 With a price of about $280, a starter set for the VEX IQ platform costs a little less than the Mindstorms kit. With the VEX IQ system, you can build slightly more complex robots. While the Lego Programmable Brick accepts four inputs and four outputs, the VEX IQ brain accepts 12 inputs and outputs in any combination. While VEX IQ has a bit more flexibility out of the box, though, the full Lego Mindstorms system includes many sensors and other products that you can use to extend the functionality of your robots. Lego Mindstorms also works with most Lego Technics products. The VEX IQ ecosystem is much smaller in comparison.